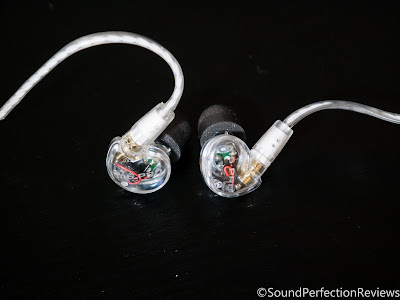 Firstly I would like to thank Hifiheadphones for this sample for review, I always try to write honest reviews, these received over 50 hrs of burn-in before reviewing, no major differences were noted. The packaging is a simple affair that I really quite like, on the front you get a picture of the monitors, on the side is a plastic window showing the IEM’s and a list of accessories, on the back you get additional info and on the other side you get a list of specifications. I really like the outer box, it’s packed full of info but not cluttered, the box opens at the bottom and you pull out the tray which has the carry case and the IEM’s held in their foam in-tray. Overall very nice packaging for an IEM of this price range. Accessories again are very impressive for the price, you get 2 cables, one normal, one with a mic and volume control. You also get a vast array of tips, 1 pair of M T200 Comply tips, 2 pairs of triple flange silicone tips (M and L), 1 pair of bi-flange silicone tips (they look L) and 3 pairs of regular silicone tips (S, M and L). Both cables come with a cable clip, also included is a nice large carry case and a 3.5 to 6.3mm adapter. A great selection of accessories, and I couldn’t ask for more. Build quality is great, the housings are well finished and extremely lightweight. The cables are good, the normal cable feels better built than the one with the volume control, but one time will tell. Luckily the cables are replaceable and replacements cost $9.99 for the regular one. Strain relief on all parts is excellent and I can see them actually standing up to some abuse one stage, or at the gym. They are sweat proof, perfect for active use and stage monitoring. Comfort is excellent, I managed to get a good seal with both Complys and the silicone tips. The fit is perfect and I have no issues wearing these for prolonged periods of time. 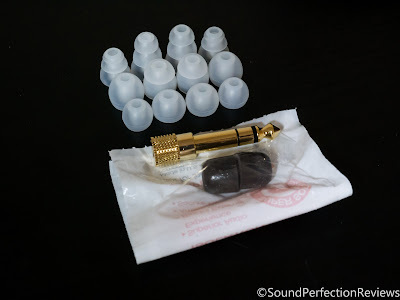 I do prefer Comply tips for their overall comfort and isolation, also the sound out of these sounds like they were made with Comply tips in mind. They also fit fairly flush in your ears, and have a very secure fit. Isolation is good with both silicone and Comply tips, but Comply edge out the silicone ones in the isolation department. These offer very good isolation, and would work well in most every situation you can find yourself in, just be careful when crossing roads with these in. Driver flex is not an issue with these. Cable noise is present but not hugely, and this can be fixed with the cable clip or chin slider. Split in to the usual categories with a conclusion at the end. Just a note about the tips, I first listened to the silicone tips and found they sounded good but not quite right, switching to Comply tips I realised these must have been tuned with Comply tips, as they just sound so much better with them. 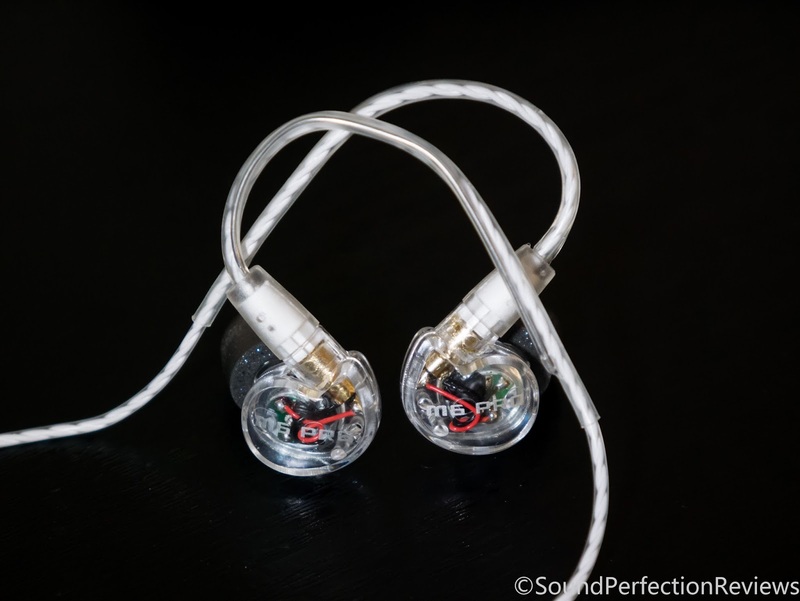 Lows: These overall are like an improved SE215, the lows are more linear and cleaner, they are not as full but this leads to an overall more balanced sound. The punch is there, the articulation of bass guitars means their lines are easy to follow. kick drums have body and tracks like Release The Pressure by Leftfield really show off that they can bounce along to any rhythm. They are not bass monsters, the lows always manage to keep controlled and never become boomy, they also stay separate from the mids. Mids: These are marketed as a stage monitor, so the mids have to cut through the mix successfully, and they do succeed in this respect. They don’t suffer from much bleeding from the lows, retaining clarity, there is a bit of an upper mid peak but this does not induce sibilance, just puts emphasis on the 5-6kHz range which brings out female vocals a little better, and upper male vocals. The mids are nicely detailed and I can see these being good for stage use, they are clear rather than smooth. Misguided Ghosts by Paramore really shows off how capable the mids are, you can hear the picks of the guitar strings and the reverberation of the body of the guitar, and Hayley’s vocals sound incredibly clear but natural (this song sounds amazing on these). Highs: The highs don’t suffer from any big spikes and I like the amount that is presented, they are always there in the background and come out when called for, they actually extend well and also have good detail. Cymbal crashes come in from the right places and they are never overbearing but always there, they fair a lot better than most of the competition at the price point and higher. Soundstage is intimate, but wider and taller than a lot of budget IEM’s, you still get out of head experiences but they are mostly engaging and up-front. Instrument separation is very good, there isn’t a lot of air around the instruments but all instruments are easily separated. Well the M6 Pro with Comply tips may have become a new favourite for around £50, I actually prefer it to the 1MORE E1001 Triple driver which are very refined but a little too smooth and somewhat dull. 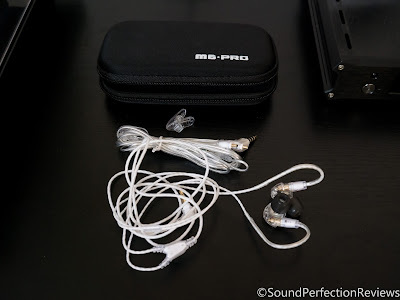 These really managed to have everything and sound very engaging, the highs do not disappoint with their presence and tone, the mids are slightly up front and the mid bass has a mild boost, as a stage monitor I can see these being good and the sound would be easily tuneable with EQ. 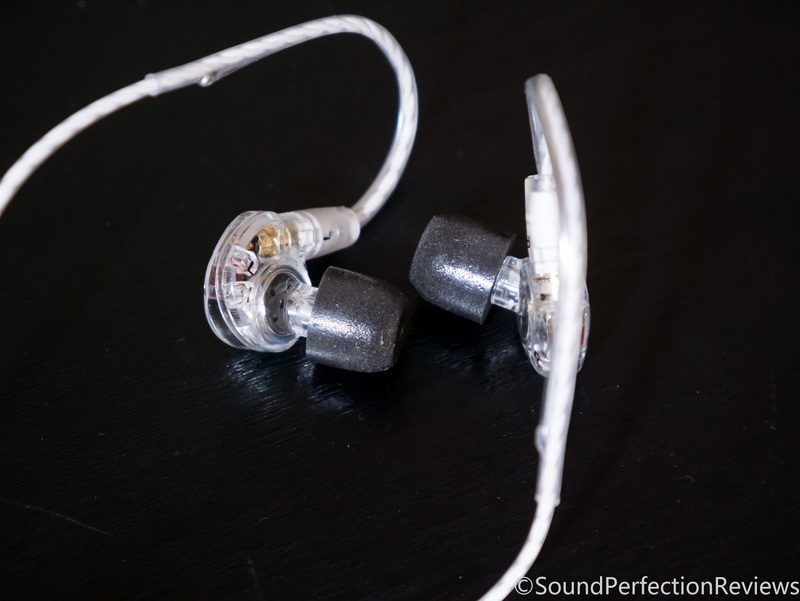 They are also a lot better than the SE215 which sound veiled and dark in comparison, do not fear, these are not bright and piercing in the slightest, they are just cleaner sounding with better detail, all for less money. 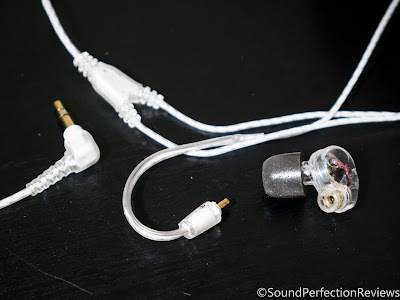 These suit genres like Rock and Pop very well, and if you are looking for a pair of IEM’s under £70 go and get these now, you won’t be disappointed. If you like harsh highs then these are for you! I burned mine in for at least 100 hours, it helped a little, but there still very harsh. I was very disappointed with all the hype. What tips were you using?